By now everybody knows that House Republicans have proposed massive cuts to discretionary spending in the name of cutting the deficit – never mind that such cuts, while wreaking havoc in the lives of middle and working class Americans, will do almost nothing to deal with the actual deficit. Or never mind that the deficit could be halved by 2021 if these same GOPers weren’t so hellbent on preserving the Bush tax cuts – cuts that are one of the main reasons we have a deficit to start with. Or never mind that many of the cuts will actually drive up federal spending and increase the deficit in the long run (see also here). Many of us have been somewhat bemusedly watching these antics, hoping that the Senate’s usually rather spineless Democratic majority will, for once, provide a bulwark against the GOP cost cutting charade. Recently, in an effort to pressure the Senate to do just the opposite, our obstreperous little GOPers have produced one of those group publicity stunts letters wherein they figuratively stamp their collective GOP feet and demand that the Senate Democratic majority follow their ill-informed, ideologically driven lead and pass the self-assertion exercise disguised as a budget that they have sent forward, national welfare be damned. Prominent among the signers of this epistle is Missouri’s own Billy Long (R-7) and Vicky Hartzler (R-4). The previous Congress failed to pass a budget for 2011, forcing new Members to deal with the mess left behind. We have come up with proposals that cut spending and create jobs, but the Senate will not do its job. Mr. Reid, pass a bill! I’d like Senator Reid to pass a bill too – just not the slap-dash atrocity put together by the intellectual midgets that the Tea Party sent to Washington D.C. For one thing, contrary to Hartzler’s assertion, their proposals will do the exact opposite of creating jobs – their simple-minded approach to cost-cutting could actually lead to a 700,000 job loss. That’s not a comforting prospect to those of us who live in the real world and who want to see the economic recovery continue. … some of the Tea Party’s leaders have a case of “Hill Hypocrisy” for attacking government spending while taking millions in government money. ABC’s senior political correspondent Jonathan Karl reported “the Tea Party movement is all about slashing federal spending, but at least five House members with Tea Party connections have themselves collected more than $100,000 each in federal farm subsidies, totalling [sic] more than $8 million since 1995. One of those five agricultural welfare recipients is little Miss Vicky. 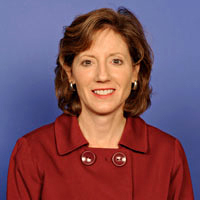 So before Hartzler – who likes to boast about her Christian credentials – signs any more letters demanding that the Senate Democrats cut spending that benefits the poor and the middle class, not to mention our economic recovery, she ought to consider the scriptural admonition, found in John 8:7, that only he who is without sin should cast stones. Normally, this being a state news site, school board contests are not my beat. But the Rockwood School District in West St. Louis County has a candidate so eminently unsuitable to serve on the board that I wanted to get the word out. Judging by comments Michael Geller made at a League of Women Voters candidate forum on March 8th, he has an odd way of showing his concern for the district. Despite cutting $6.8 million in spending this year, the Rockwood district faces continuing budget shortfalls. All the other candidates said they would vote yes to place a bond issue on the ballot so that voters in the district could decide whether school taxes need to be raised. Not Geller. He would oppose allowing the district’s residents even to vote on that issue. Rockwood’s Talented and Gifted Program is a model for districts across the nation, and the other candidates spoke in its support. They also support special needs education. Not Geller. His talented child is enrolled in a private school, and his special needs child is in a boarding school. If a child doesn’t conform to a ‘one size fits all’ mold, the parents should pay to school him elsewhere. Except, wait. The parents should pay … unless they can get the taxpayers to do it for them. Mike Geller favors school vouchers. Vouchers would deprive public schools of desperately needed funds, using that money instead not only to pay for a private school for Mr. Geller’s gifted child or for boarding school for his special needs child, but also for putting children in religious schools. Geller defended the idea of using public funds for religious schools by pointing out that “separation of church and state is not in the Constitution.” Yes and no. That exact phrase, it is true, does not occur in the Constitution. But the First Amendment implies it. Thomas Jefferson coined the phrase when he wrote that the First Amendment erected a “wall of separation” between the church and the state. Who would have a better take on the intent of the framers of the Constitution: Thomas Jefferson or Michael Geller? The majority of Rockwood School District voters, proud as they are of their schools, are unlikely to want their tax dollars going to religious schools or to private schools for the gifted or to boarding schools for special needs students. It would be overstating the case to say that voters would as soon have Gaddafi as the Superintendent of Schools as they would a board member who approves of vouchers, but you get the idea. Most Rockwood residents would reject Geller if they knew what he stood for. Rockwood voters need to understand that Mike Geller is a stealth candidate, someone who would undermine the district’s superb schools. He is inserting far right political ideology into the race for an office that has always been nonpartisan. The NEA, very sensibly, does not endorse him. And the voters should turn a cold shoulder to him. Twitter stock must be up. That’s another big bucks day for they guy who may or may not be running for governor. Tomorrow, as the last day of the quarter, is gonna be really interesting. Yep, that’s a lot of money. STOP The Factory Farm Protection Bills! The Legislative Spring Break is Over Monday (the 28th)! Tell Them to Vote NO on Senate Bill 187 & House Bill 209!!! & House Joint Resolution 17! Hundreds of phone calls and emails are making a difference! SB 187 & HB 209 have become very controversial in the Missouri statehouse. But the PRO-corporate agri-business, ANTI-property rights, ANTI-family farm bills are still moving! The following bills would have a radical and damaging effect on the property rights of Missouri ‘s family farmers and rural landowners and on our rights to local control. Names of bills and legislators to call are below. Written to protect Premium Standard Farms (PSF; owned by Smithfield Foods–the largest pork corporation in the world), the CAFO Protection Bills would limit the rights of family farmers and rural landowners to defend their property through the court system. Restrict the ability of local elected representatives to respond to the needs of their citizens through “local control”. Please Call/Email “Key Legislators” & Call/Email YOUR State Senator & Representative! Tell them to VOTE NO on Senate Bill 187 & House Bill 209! * See Below for “Key Legislators”. * You can call YOUR State Senator and Representative by calling the House Switchboard at (573) 751-2000 with your zip code. An Attack on Rural Private Property Rights (The CAFO Protection Bills)! Corporate agri-business has deep pockets and significant influence in Jefferson City . At the expense of Missouri’s independent family farmers, rural landowners and their constitutional right to protect their property through the court system, corporate lobbyists have convinced some legislators of the need to protect a very small minority of corporate industrial livestock operations. Written to protect Premium Standard Farms (PSF), owned by Smithfield Foods, the largest pork corporation in the world, this misguided and dangerous policy would be protecting CAFOs at the expense of the vast majority of Missouri ‘s family farmers and rural citizens. An Attack on Local Control! For 8 years, family farmers, rural landowners and county commissioners have fought against attempts to take away local control. Hundreds have journeyed to Jefferson City to ensure that our local elected representatives retain the tools necessary to respond to the needs of their citizens. Yet again this year, bills (HB 100, HJR 3 & HJR 17) are moving through the House Chamber that would strip Local Control and the ability of local communities to protect family farmers and landowners from the negative impacts of industrial livestock operations. You can call YOUR State Senator and Representative by calling the House Switchboard at (573) 751-2000 with your zip code. Tell him to veto any bill (including SB 187, HB 209, HJR 3, HJR 17 & HB 100) that limits the rights of family farmers and rural landowners to protect their property through the court system, or restricts the ability of local elected representatives to respond to the needs of their citizens through “local control”. Thank you for your time to engage in the democratic process to protect Missouri ‘s farm families and rural property rights! Please feel free to call Missouri Rural Crisis Center at (573) 449-1336 with questions. Announcer: Opponents of the earnings tax just can’t get it straight. On one hand they say it doesn’t account for much in the city budget, that it’s not a big deal if it went away. On the other hand, they say it is so big of a deal that businesses are leaving town because of it. The truth, of course, is just the opposite. Businesses support the earnings tax. And it is a big deal for the people who live here because it pays for vital city services like police and fire protection. For the truth about the earnings tax go to KeepKCalive dot com. And vote yes to keep the earnings tax, Tuesday, April fifth. I’m not as ready as Willy to throw in the towel on Prop B, but her analysis of what’s going on is probably more accurate than mine. I had all but given up too, but a friend of mine who rescues dogs called me the other night and gently pushed me back into the ring. One thing that convinced me that there is hope is that some state reps have been convinced to change their votes for repeal simply by pointing out to them that their districts approved Prop B in November. She told me that Sally Faith of St. Charles and Chuck Gatschenberger of Lake Saint Louis have both agreed to vote against SB113 after it became public that they had accepted campaign contributions from Smithfield Farms. Evidently, Sally Faith admitted that she hadn’t read the bill and had taken the word of a colleague she trusted. Oh, sure. If all 88 of the state reps whose districts voted YES on Prop B in November vote against repeal, that will be a majority and enough to kill the bill. So it’s up to us to hound those state reps in the districts that passed Prop B to do the right thing – or else. Through MEC reports I found out that my state rep, Paul Curtman of the 105th accepted a $500 contribution from Jason Smith, the rep whose mother owns one of the “dirty dozen” puppy mills. That same Missouri Alliance for Animal Legislation website has tons of good info, including a comparison of Prop B and SB 113 and a list of the voting percentage totals by district. Check out yours. If your House district passed Prop B, make sure your rep is voting against repeal. If your district did not pass Prop B, ask your rep to do the right thing for the dogs. If breeders can’t make a profit by taking good care of their animals, they should close up shop and let someone do it who can. Check out the BBB reports and all the complaints from customers who bought puppies they thought were healthy. And click here to see Sen. Parson, sponsor of the bill, lying his head off to an audience where he obviously feels comfortable making up nonsense. If you have the stomach for it here are some photos from actual puppy mills. Friends of mine who have rescued puppies from these dungeons of death tell me they can smell the diseased dogs before they even pull into the driveway. I’m not ready to give up on this yet. I hope you’ll get as angry as I am and motivated to do everything you can to protect these animals. Going to the Dogs – Missouri GOP and Proposition B. *Remove the provision ensuring that female dogs get a rest between breeding cycles and replace it with an unenforceable vet recommendation provision. 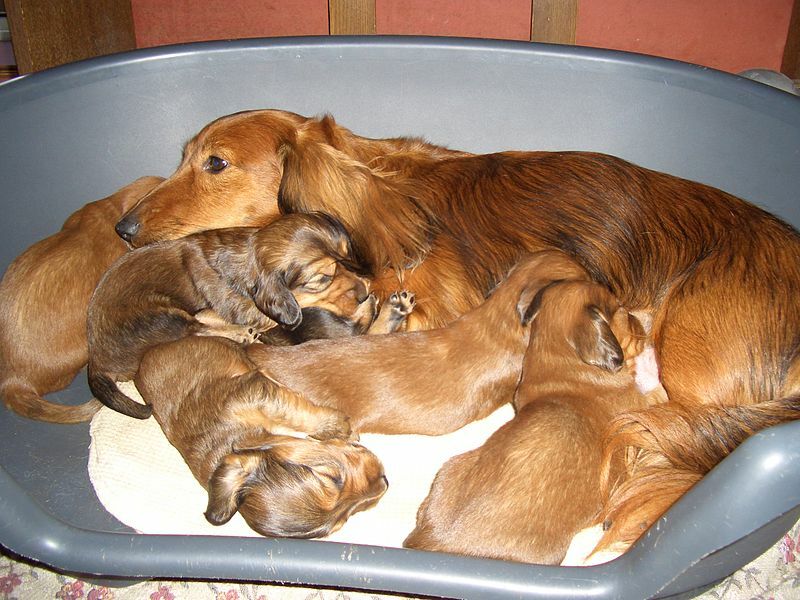 50 breed clubs including the AKC recommend rest between breeding cycles. * Remove the requirement that the dogs receive an annual exam by a vet and replace it with “two visual inspections” instead. * Eliminate the exercise provision. * Remove the provision ensuring continuous access to unfrozen, clean water. * Make stacked cages lawful again. * Allow dogs to be confined in cages with only 6 inches of space again. * Eliminate the cap on having more than 50 adult, sexually intact breeding dogs at a commercial breeding facility. So much for “improving” the bill – which is what our Republican legislators disingenuously claim they want to do. I admit that the pork industry (e.g., Smithfield Farms), for instance – which fears Prop. B as a potential Trojan horse – probably thinks the lege has improved it in just about the right way, and to that effect has been more than willing to exercise some of that dollar- greenback colored speech that the Roberts Court is so fond of. So go ahead and call your representative – although it’s not likely to do much good. What big agribusiness wants, it gets from Missouri’s GOP legislature. That’s the ironclad rule that the lege has proved once again by their prompt action to undo Prop. B. … we have received more information on puppy mill legislation than any other piece of legislation, and I know people love their animals and I support that love for animals, but, my gosh, we have a lot of people out there hurting too and I sure wish people would … stand up and get that involved when it involves other people too. I sympathize with Rep. Schuupp and share her frustration about the seeming lack of concern for the people who will suffer because of the GOP determination to pursue a destructive legislative agenda. However, I also understand why the plight of puppy mill animals generates a larger and more intense response. There is at least a perception that human beings who are threatened by the actions of our business/corporate dominated GOP legislature can speak for themselves, but animals can never, under any circumstances, speak for themselves. And while conservatives may buy into the rightwing dogma that presents poverty, deprivation and injustice as the result of poor choices on the part of individuals, nobody, left or right, thinks that dogs live out miserable lives in breeding factories because they have made poor choices. Many of us live with dogs – they’re ideologically neutral – which is why opponents of Prop. B must resort to misrepresenting the concern about conditions in breeding kennels as sentimental excess on the part of those who don’t know better. While we have probably lost the immediate battle, it is possible to continue the campaign. We can publicize just exactly what happened, refuse to let pols blather about “improving” or “tweaking” Prop. B, and make sure that the memory remains fresh next election. We can ensure that there are consequences. Legislators who put the dictates of corporate agribusiness before their human obligation to mitigate unnecessary suffering deserve to be held accountable. Businesses, like Smithfield Farms, deserve to hear from consumers who do not appreciate their meddling in unrelated areas of animal husbandry. Finally, in response to those politicians who whine about the hardship that Prop. B would cause “good” breeders, we need to be emphatic that those puppy breeders who cannot conform to the minimal strictures of Proposition B deserve to be put out of business – the sooner the better. Tell These Four Missouri Legislators: Stop Blocking Unemployment Benefits! On April 2nd, Missouri could become the only state in the country to abruptly cut-off federally-paid unemployment insurance benefits to struggling out-of-work job-seekers. That’s because four Missouri State Senators are holding up a bill that would continue federally-funded Extended Benefits (EB) for thousands of Missouri’s hardest-hit unemployed workers and their families. As a result, nearly ten thousand Missourians will have those benefits cut-off prematurely next week. Another 56,000 face having those benefits cut-off shortly. The bill, which is a simple technical adjustment to state law to allow the Extended Benefits to continue through 2011, has already passed the state House. Missouri Gov. Jay Nixon supports it and wants the state Senate to pass it so that he can sign it. A clear majority in both parties and the Senate’s leaders support it and want to bring it to a vote. But Senators Jim Lembke, Brian Nieves, Will Kraus and Rob Schaaf have kept the Senate from voting on it for weeks – endangering this crucial aid for thousands upon thousands of Missouri’s struggling job-seekers. And why are they blocking the Extended Benefits bill? They say they want to make a point against federal spending. So they have picked these federally-funded unemployment benefits to lodge their protest – for what amounts to 0.002 percent (that’s two one-thousandths of a percent) of the federal budget. These are benefits that go to Missourians, who spend them on family necessities in local Missouri businesses. Holding up and cutting off these benefits will hurt Missouri workers and their families, and hurt Missouri businesses. Eleven other states that have had to pass the EB renewal legislation to keep these benefits going have done so without any interruption. Unless the EB bill is passed, Missouri will become the only state to cut off these benefits to its own struggling job-seekers. Tell Senators Lembke, Nieves, Kraus and Schaaf: Stop Blocking a Vote on Extended Benefits for Missouri. They and State Senate leaders need to take all necessary steps to ensure that the Senate gets to vote on the Extended Benefits bill this week. AGs are in conference today with Elizabeth Warren about settlement with Big Banks. Let your Attorney General know it’s time to choose a side – the homeowners they’ve sworn to protect or the big banks that broke the law and bankrupted the economy. And, be sure to tell us how the call went. In case you haven’t had five reminders–or even if you have–I thought I’d sneak another one in on you. The lady I spoke to answered promptly without a hint of being harried. We need to keep her busier than that.